FREE Haircuts for Kids at All JCPenney Salons! 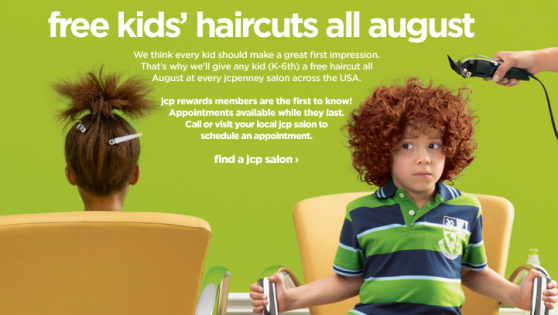 All JCP Salons are offering kids in grades K-6 free haircuts in the month of August! Click here to find your nearest salon to make an appointment before they fill up.